Take a good look at the photo above. 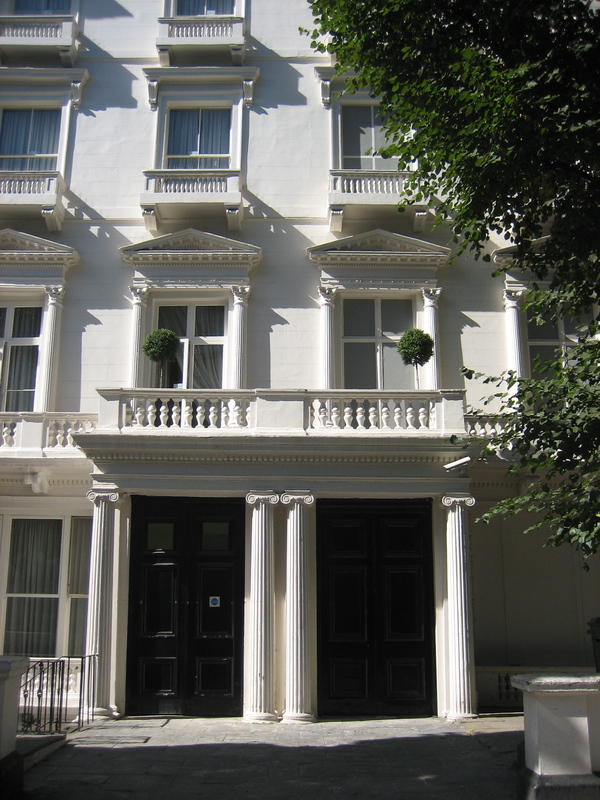 Does anything seem unusual about the house on the right, 23 Leinster Gardens, compared to the one on the left, number 22? 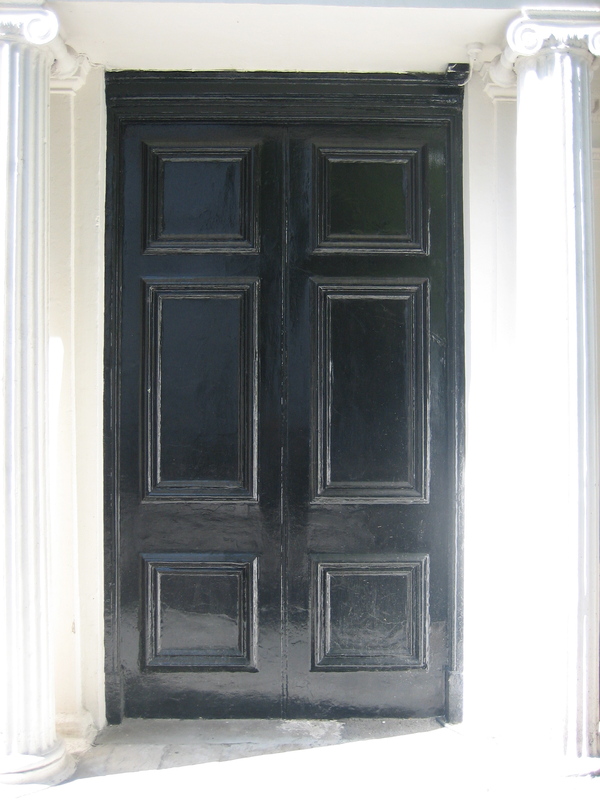 This isn’t like the door of 10 Downing Street, which can only be opened from the inside. This is a door through which, to paraphrase Flanders and Swann, no-one departs and no-one arrives. For this door belongs to a house that does not exist. Like Dolly Parton, Blackpool and extreme political organisations of both left and right, it is all front. 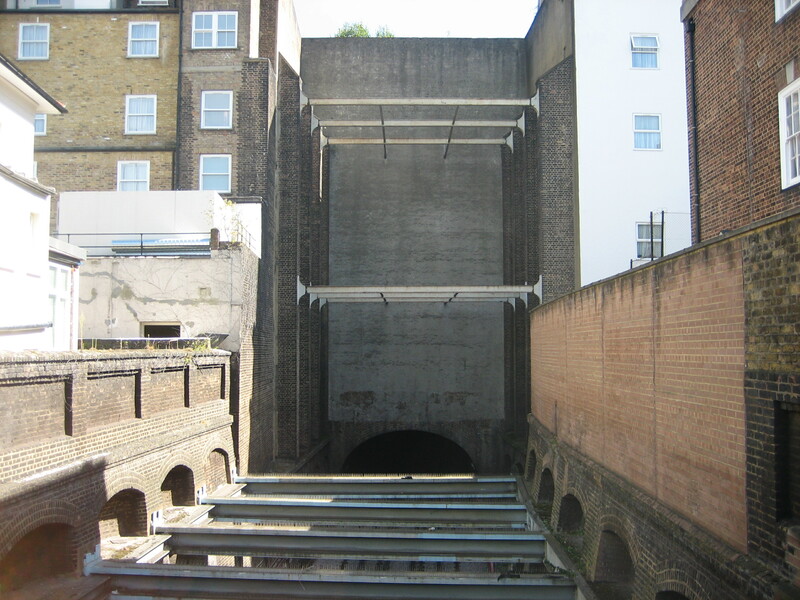 And the reason is the London Underground – or, as it would have been pronounced when this elaborate facade was constructed, London’s Under-Ground. 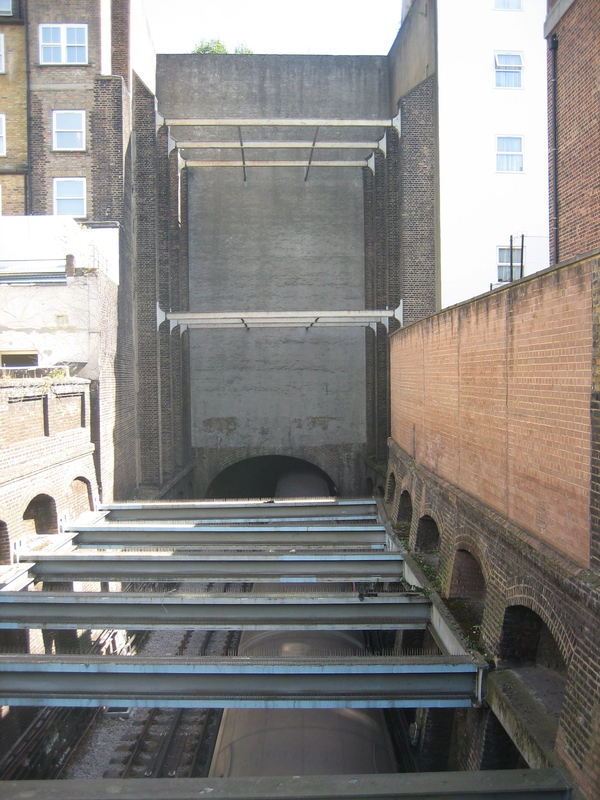 The trains that first ran along the railway line that passes below Leinster Gardens were steam-powered. The locomotives needed somewhere to vent the fumes that built up inside the engines. But where to do this, in a neighbourhood jostling with upmarket residences for whom a large gap in the ground would appear both unsightly and undignified? 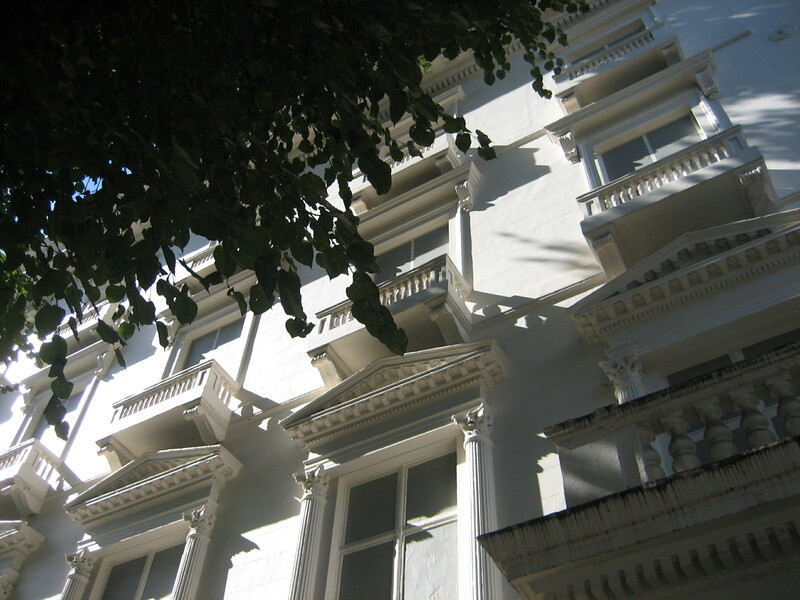 Number 23 Leinster Gardens, and also its neighbour number 24, were erected as frontispieces, not houses. It’s a typically British compromise between the aspirational and the functional. 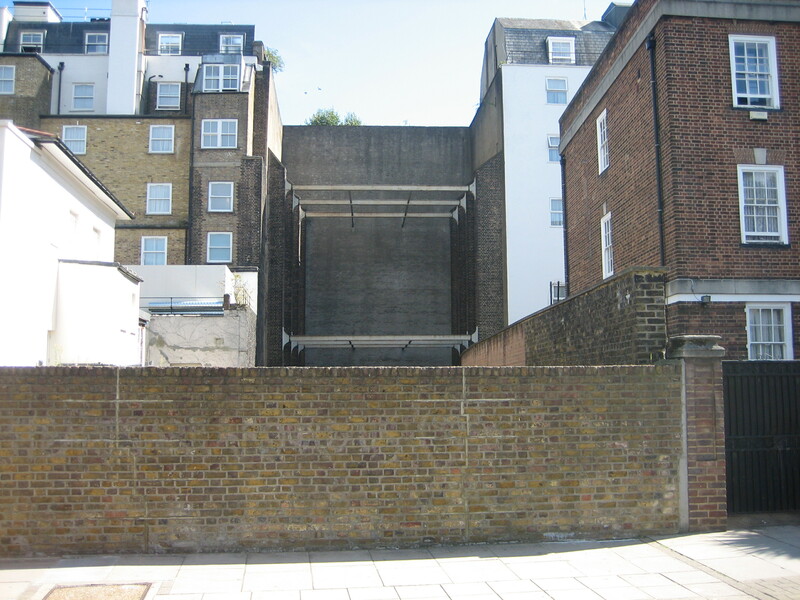 What’s out of sight to the residents of and visitors to the expensive flats and hotels on Leinster Gardens can also be put out of mind, unless you happen to glance out of a back window. Which, back in the 1860s, nobody of “sound” upbringing would ever have thought of doing. Meanwhile the exposed tracks are hidden from ground level by a brick wall. Only the mildly curious, and the obsessive chronicler, would think to peek above it. One of my very favourite Sherlock Holmes stories, as I’m sure you can guess! I love that they even put a (fake?) plant on the balcony to mirror the one on number 22! Ooh, I guess you’re right. My mistake ! Mind the gap indeed! This is trompe at its best and a nice aesthetic solution. I wouldn’t exactly say Leinster Square is full of expensive flats and hotels – more like lots of hostels and backpackers. I used to live there (no 26) and there were always backpackers and Antipodeans hanging out on almost every porch! Also, I didn’t know about this facade, despite being almost next door. So thanks for the (belated) info. Hi Betty. I remember you at 26. We lived at 28. I thought all streets had dummy houses. That is so cool! I lived in London for almost 3 year in the late 90’s and never knew that. I love info like this. We have the same fake houses in Paris… 145 rue La Fayette for example. How very interesting, indeed. At first I didn’t notice really, just thought it was a lovely building, but a closer look you could see the windows were boarded up and yet painted, and the door clearly would never be used. Interesting, thanks for sharing! We lived at 28. We never knew why they were there. I thought all streets had dummy houses.